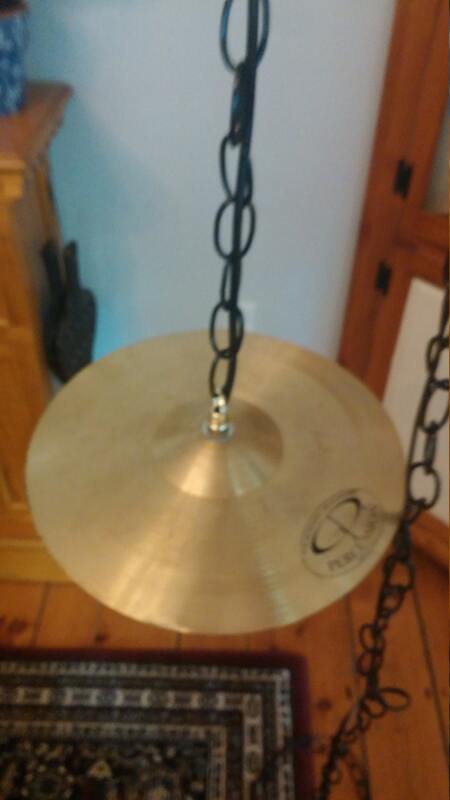 A beautiful 10" cymbal hanging light. 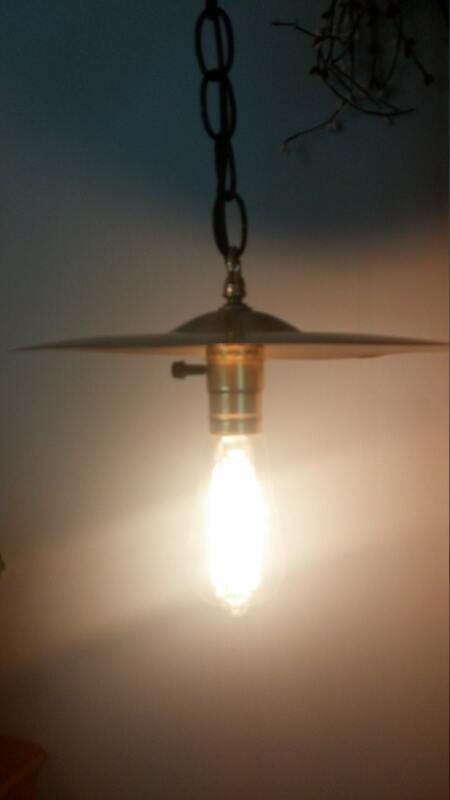 Takes a standard base bulb (not included). Has a 12 foot cord and chain. Plugs into your outlet. Has a turn key socket.